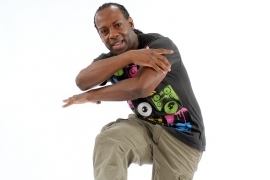 Hip-Hop dance is a popular dance style for all ages and experience levels! Dancers learn cool, popular moves that they can perform with confidence. Starting at age 5, our Stars dancers learn fun hip-hop moves in our Stars combination Ballet/Hip-Hop Jazz classes. This class is perfect for dancers who want to step, stomp and shake it out to their favorite songs. Starting at age 6 dancers can take a 45 minute Hip Hop/Jazz class. Dancers learn more hip-hop moves as well as high-energy jazz technique. Musicality, rhythm and creative movement are key components of this fun dance class. The focus of this class is to build a solid foundation to execute popular dance moves to original choreography. Once dancers complete the Aqua level or are 11 years old, they are welcome to join a Street Hip-Hop class. Since the 1970’s and 1980’s, Hip-Hop has been emerging as an exciting form of dance. Our Street Hip-Hop classes will teach dancers some basic fundamental skills such as Popping, Locking, Boogaloo, Gliding and Floor Moves. This is a great class for dancers looking to improve coordination or their self esteem on the dance floor. Classes begin with an exciting warm-up, preparing dancers for the high-energy aerobic activity to come. Dancers will engage in body isolations, push-ups, abdominal strengthening and stretches before moving onto movement technique. This ensures that dancers build the strength and stamina required of this discipline. Dancers also learn complex movement combinations that unite different styles and movements into fast paced routines. These classes are recommended to any dancer, from the most dedicated to those who are just looking for an upbeat aerobic activity.